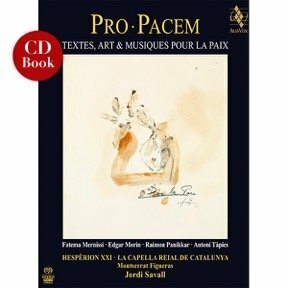 From a very early age Louis XIII (1601-1643), King of France and Navarre, developed a special interest in music; he learned to play the lute and the violin, he took singing lessons and he was himself a composer of ballet music. In fact, during the first half of the 17th century, ballet became the royal entertainment par excellence. Although most of this ballet music is lost, one of the rare sources available is a collection assembled in 1690 by Philidor the Elder, who at that time was librarian to Louis XIV. The pieces included mark the great events in the life of Louis XIII (birth, coronation, marriage, etc. ); other pieces are taken from a concert performed in honour of the King in 1627 and from the Kassel manuscript. The name of the composer is rarely given, but the authors were most likely the ballet masters who were active at Court at that time. The ballets were performed by the 24 Violins of the King’s Chamber, a typically French ensemble whose reputation was to spread throughout Europe. For the most outstanding ceremonies, the Violins were joined by another great institution, the Grande Ecurie, which comprised wind instruments, notably the 12 Great Oboes. 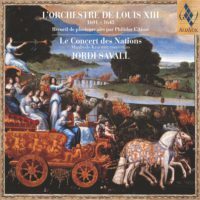 Jordi Savall, directing a full ensemble of Concert des Nations, brings us a characteristically 17th century concert.